Dance under a massive disco ball in the Playa. 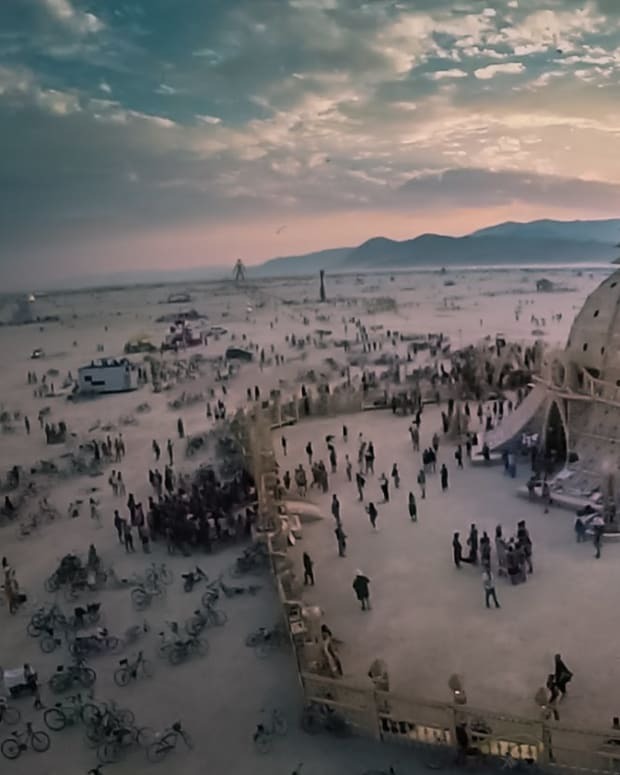 A giant disco ball is coming to Burning Man. Well technically it is a mirror, but it sure as hell looks like a disco ball. 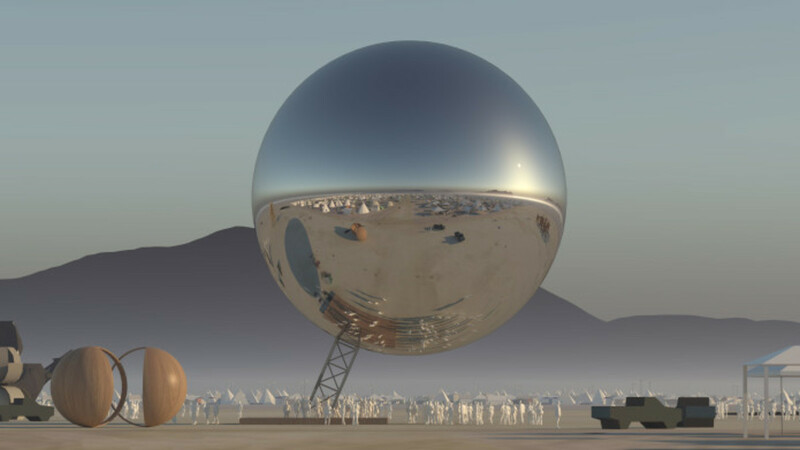 A new Indiegogo campaign from BIG architects Bjarke Ingels and Jakob Lange is raising money for a 25 meter in diameter (84 feet) giant metal, reflective ball titled The Orb. The size is approximately scaled to 1 /500,000 the size of the earth. 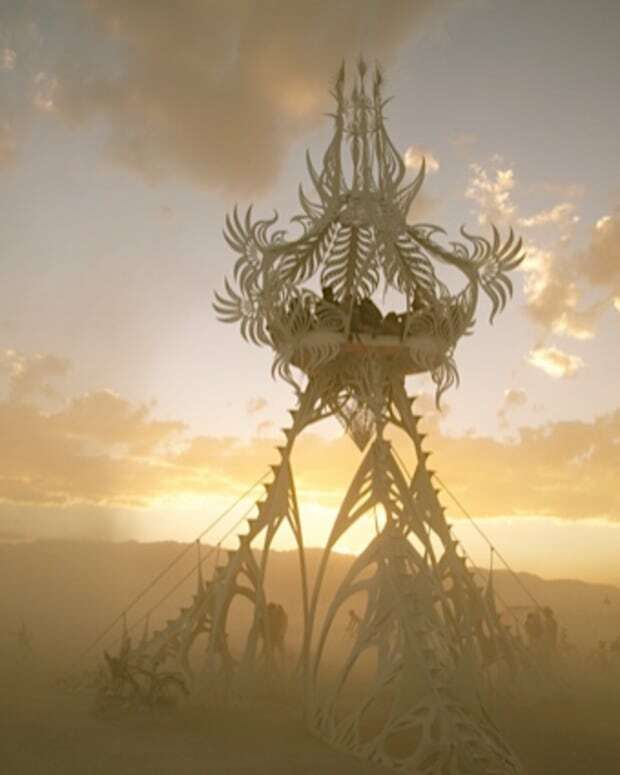 The sphere will be located centrally in the Playa and serve as a way to reflect and magnify light, movement and expression. The architects themselves are largely funding the sphere as they put together 30 tons of steel with 2,500 hours of welding and sewing. It will be supported by a 105 foot long inclined steel mast. At night the orb will blend into the surroundings, but light up during the day. 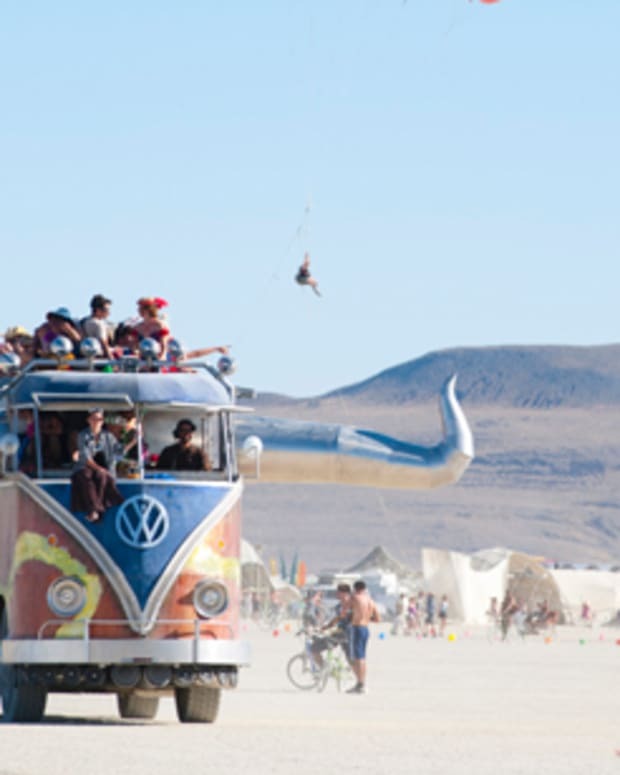 It is also designed to easily inflate and deflate, leaving no trace on the Playa.